Websites give you facts and figures, but a college campus visit brings the school to life. There’s no better way to get a sense of whether a particular university might be a fit for you. In fact, it’s not uncommon to hear students at St. Edward’s say they enrolled because “it just felt right” during a campus visit. 1. Why did you pick this college? Your tour guide obviously likes the school enough to be showing it to prospective students. Hearing about his or her college search might help you with your own. 2. How did you meet people your freshman year? How quickly students get connected to their new community plays a big role in how well they do as a student. Find out if the school leaves these all-important connections to chance, or if they’ve designed an intentional way to connect new students. For example, St. Edward’s offers two full weeks of Welcome Days to help new students find friends and get connected. Your tour guide might have some other ideas, like going camping with the Outdoor Adventure Program or volunteering once a week with S.E.R.V.E. Austin. 3. Where is the best place to study? 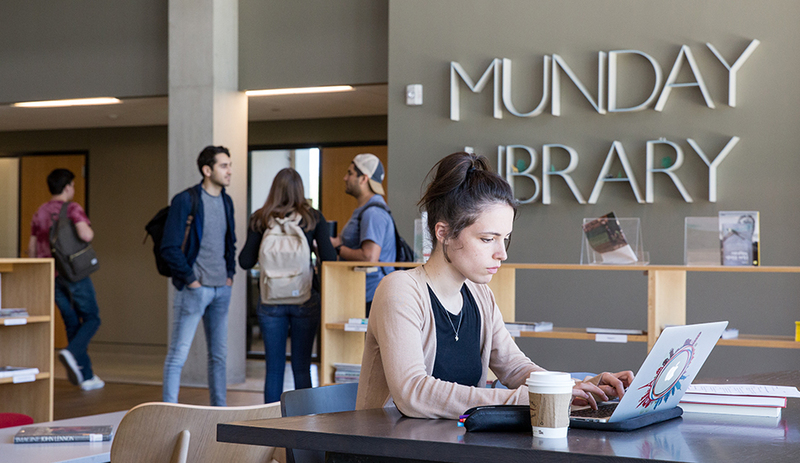 It might be the reading room in the Munday Library, with its bank of floor-to-ceiling windows. But your guide’s answer might surprise you and introduce you to another part of campus: the student lounge in the John Brooks Williams Natural Sciences Center, or, for people who need to mix studying with socializing, the Student Life office. 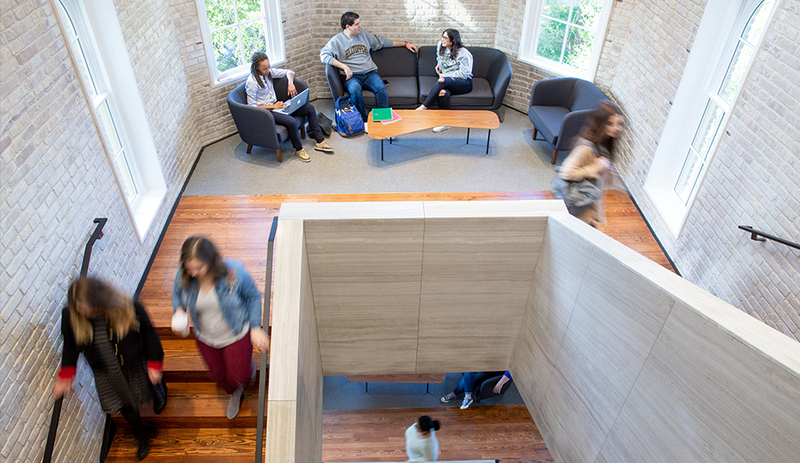 Most residence halls have dedicated study spaces, too. 4. What do you think about the food? College students love to talk about the food on campus, and it will be a big part of your life as a student. But even better than asking about it, decide for yourself by getting lunch in the dining hall the day of your campus visit. 5. What are the advantages of going to college in this city? You’ll be volunteering, interning and spending some of your downtime off campus, so it’s important that you like the town as well as the university. 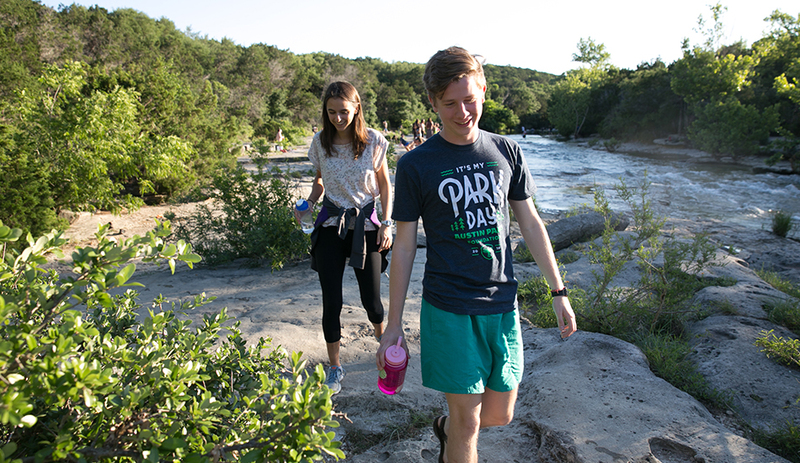 St. Edward’s is fortunate to be in Austin, a city with a booming creative economy, natural beauty, and a world-renowned live music scene. But ask about how your tour guide connects with the city: Are there internships? Service opportunities? How is the city a part of your college experience? 6. Can I come back to this building and look around after the tour? 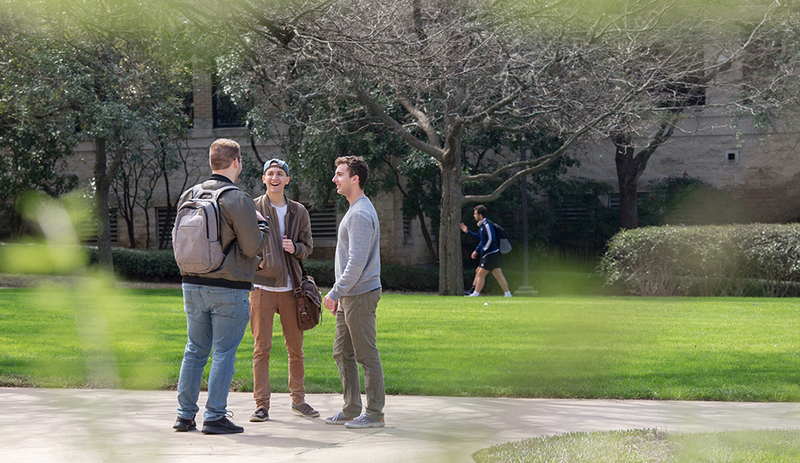 Campus tours generally won’t take you inside all the buildings — there isn’t time. But when the tour is over, you can head back to the building that houses your major and walk through the halls at your own pace. This gives you a chance to check out the student work in the art building, or peek into the science labs, and just pick up on the vibe of the building where you might spend a lot of time. Tip: Keep the tour in perspective. Your tour might be “perfect” and help you instantly fall in love with the college. Or it might not be. Your tour guide could major in your favorite subject and run the club you want to join, and you could tour the campus on a gorgeous day when there’s a concert on the lawn and a food truck giving away cupcakes. But if it rains during your tour, or you can’t find parking, or you don’t have anything in common with your tour guide, take a deep breath. The tour is just one window into life at the college. Staff in the admission office might be able to answer your questions, suggest other things to do while you’re in town, and put you in touch with a current student with interests more similar to yours. Tip: Ask questions. It can be intimidating to ask the first question on a campus tour, but chances are that your question will break the ice and help other people feel comfortable asking their own. And remember that the other students on your campus tour could possibly end up as your classmates a year or two down the road. Chatting with them now could mean you see a familiar face when you land on campus your freshman year. Interested in visiting St. Edward's? Schedule your tour.